America's fleet of Predator UAVs could soon become even harder to shoot down (or even detect for that matter) thanks to a new kind of camouflage developed at UC San Diego. UCSD professor Boubacar Kante and his team published their findings last month in the journal Progress In Electromagnetics Research and will submit a separate report to the Department of Defense later this month, according to reports from the Army Times. The material, dubbed the "dielectric metasurface cloak," builds on earlier work from Duke University in 2006. It's essentially a thin layer of Teflon studded with ceramic particles and capable of modulating wavelengths of energy along the electromagnetic scale (including both visible light and radar). The technology isn't exactly new but it is a heck of a lot better than what the DoD has access to now. 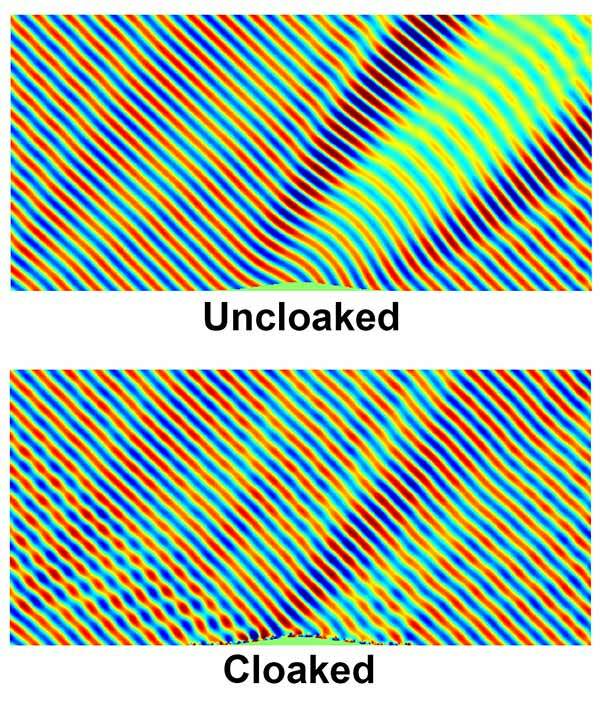 "Previous cloaking studies needed many layers of materials to hide an object, the cloak ended up being much thicker than the size of the object being covered," Li-Yi Hsu, the study's lead author said in a statement. "In this study, we show that we can use a thin single-layer sheet for cloaking." The current generation of Teflon camouflage has to be literally slathered onto drones. For example, to block out a missile's guidance radar using a 3 cm wavelength, the Teflon coating would need to be ten times as thick as the wavelength, or 30 cm. A dielectric metasurface cloak, on the other hand, would provide the same degree of protection but only require a 3mm-thick coat, one tenth the thickness of the incoming signal. The new material isn't perfect just yet. Since its thickness determines which wavelength it can block, the material can currently only cancel a single wavelength at a time. And even with the appropriate wavelength, the system only works if the incoming signal hits it at a 45 degree angle (within 6 degrees or so). Despite these shortcomings however, the DoD is reportedly very keen on implementing the camouflage system. Barring any setbacks the camo could enter active service within five to ten years, Kayla Matola, a research analyst for Homeland Defense & Security Information Analysis Center, told the Army Times.